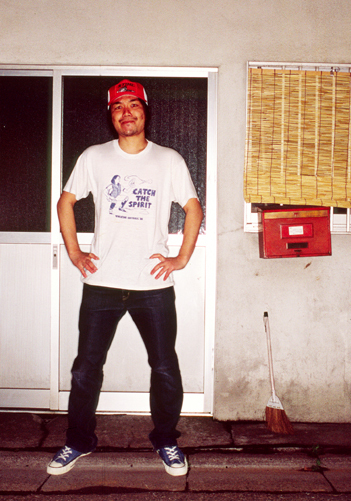 Mr. Miyoshi wears jeans by Blue Blue; cap, vintage; sneakers by Converse(80's). 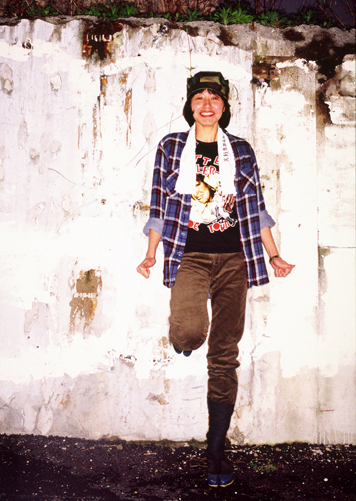 Takumi wears jacket and pants by Number (N)ine; hat, my own; boots by Dr.Martens. 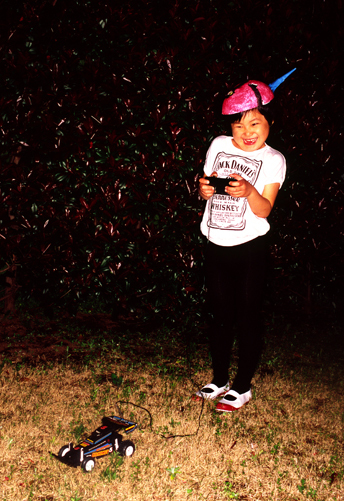 Saori wears shirt by Adam Kimmel; pants by Levi's; cap, vintage; tenugui and tabi, my own; accessories, her own. 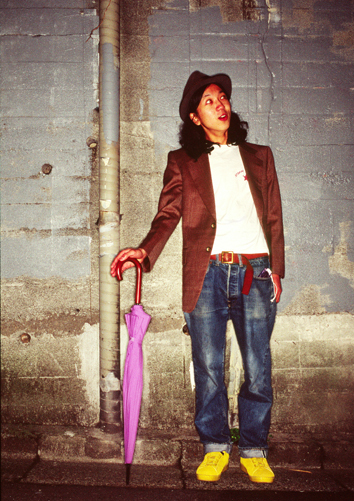 Takashi wears jacket, my grandpa's; hat and belt, vintage; jeans by Levi's(501E); sneakers by N.hoolywood; umbrella, Saori's; omamori in jeans pocket, my own. 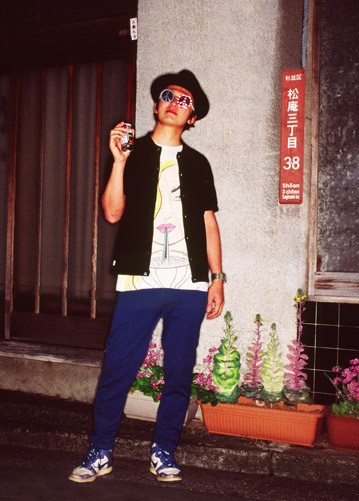 Kohei wears shirt by Wtaps; truck bottoms and hat, vintage; sneakers by Nike; sunglasses and watch, my own. 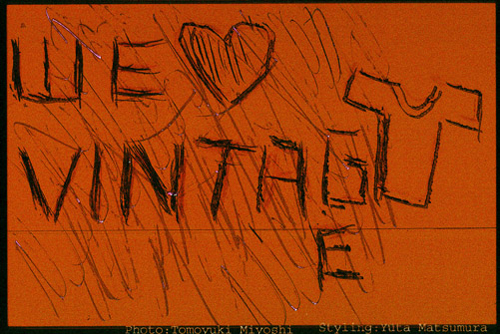 Io wears Yokosuka jamper, vintage; others, his own. 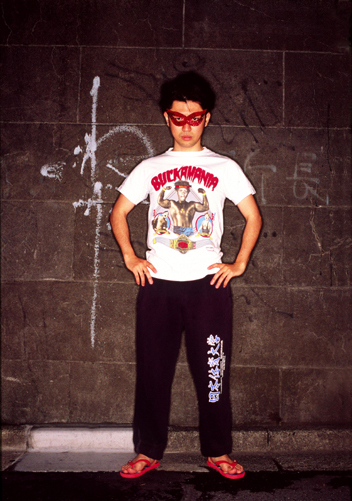 Ryuta wears pants by Nippon Sport Science University; eyewear, my own ; sandals, his own. Takumi wears cardigan by Wtaps; jeans by Superfine; sneakers by Converse; others, my own. Saori wears track top by Nike; skirt by UNDERCOVER; sneakers by Converse(70's); head accessory, my own. Io wears all his own. 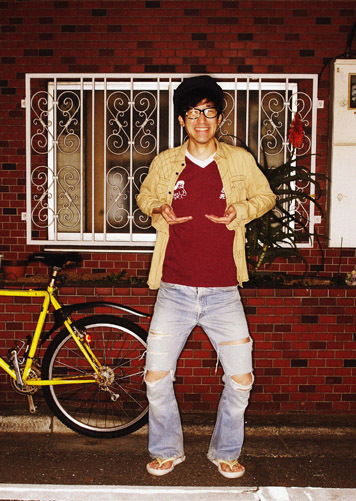 Takumi wears shirt by Number (N)ine; jeans by Levi's(517E); cap, vintage; glasses, his own; sandals by N.hoolywood. 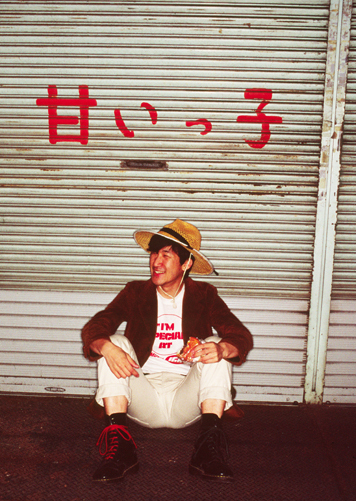 Takashi wears jacket by N.hoolywood; pants, vintage; sneakers by Converse; cap and bag, my own. 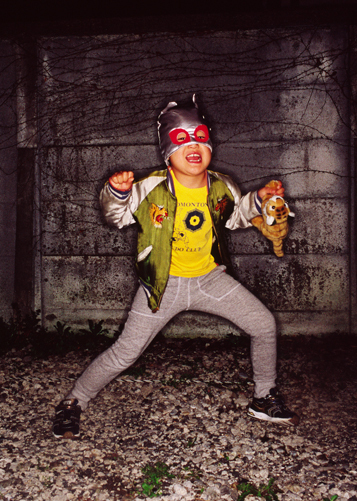 Masaya wears jacket by Diamond Dogs; boots by Wesco; sunglasses and underpants, his own. 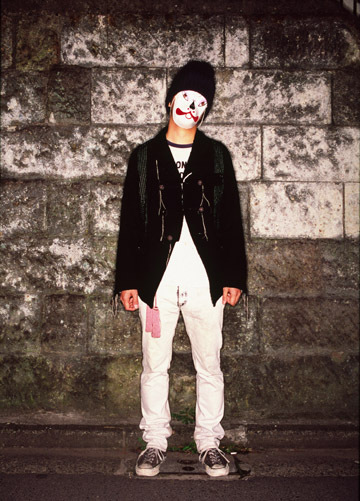 Kohei wears jacket by Number (N)ine; jeans by N.hoolywood; cap, vintage; sneakers by Converse(80's); mask and belt, my own.